Product information "Zomo VS-Box 200/2"
The VS-Box 200/2 is a practical vinyl storage box from Zomo, which is an inexpensive but shapely and extremely robust way to archive and catalog the beloved 12 inch records. On two levels you have the possibility to organize your vinyl collection. The top floor can be used for favorite records and their quick access. The lower level is suitable for archiving. The Zomo VS-Box 200/2 is made of solid MDF wood and laminated with resistant, water-repellent decor. 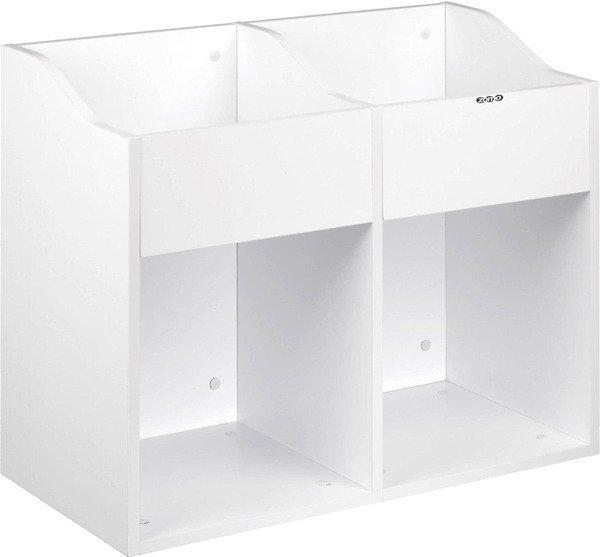 The model is easy to assemble, stackable and can be combined individually with other VS-Boxes. The box is also suitable for vinyls with sleeves. Customer ratings for "Zomo VS-Box 200/2"
Hab das Ding vor ein paar Jahren gekauft, ein paar Rollen drunter gesetzt. Vorher hatte ich alles im Schrank oder BRAUN Boxen. Geht aber wohl nicht anders. Bin holztechnisch soweit ausgerüstet mir sowas selber zu bauen. Komme aber nicht auf den Preis. Aber absolut geil zum stöbern in der Sammlung. Muss allerdings feststellen, dass ich zu viele Platten aus den BRAUN Boxen in das ZOMO System verlagere und mir zu viele Platten kaufe. Wenn mann sich daran gewöhnt hat, ist die eigene Sammlung wie ein Plattenladen.